'The Book Pick' Contest - Open to ALL Authors! 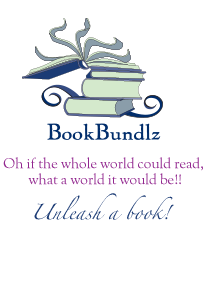 Welcome to BookBundlz - Your book club & reading group resource. - Unleash a Book! Authors, we are seeking the next great book or two or three! BookBundlz has over 9,500 members in our reading community and we want to share your masterpiece with our book clubs and readers. The Book Pick Contest spotlights great books that might otherwise be overlooked and helps them get the love they deserve. Your book could be one of our book picks for our BB Book Club! Book submissions will be accepted from all published authors with print books in the categories of non-fiction, young-adult, and fiction. The books must be available through the Amazon database. Registration and book submissions must be completed by the deadlines identified for each category. The Top 3 book Finalists in each contest category will then be put on the site for vote by BookBundlz membership for one month. Each member can vote 1 time per day. The BookBundlz Panel will also be evaluating the the Top 3 book finalists during this time. Additional prizes will be announced soon. Exposure for your book during the month of your book category's voting cycle, including mentions on BB's site and in BB's newsletters. • There is a $100 non-refundable entrance fee for registration for each book submitted, payable through PayPal. • THREE non-returnable PRINTED versions of your book must be postmarked by the submission deadline. Address will be supplied by email to confirmed registrants. • Your book must be available for purchase through Amazon.